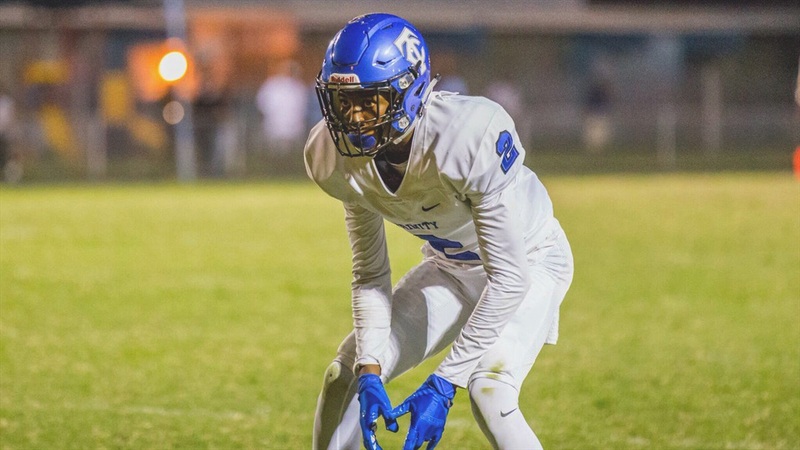 2020 Trinity Christian (Fla.) cornerback Fred Davis II might have one of the more impressive offer lists you will ever see, but Notre Dame didn’t join the race until recently. The four-star prospect was fine with the Irish taking their time but admitted he was getting a little impatient. “It’s a blessing because Notre Dame doesn’t offer everyone,” the 6-foot-1, 174-pounder told Irish Sports Daily. “It was a process to get the offer. They started talking to me in September when they could start texting me. They hit me up and we’ve been building a relationship since then. I just stayed patient to get the offer. Davis wanted the offer from Notre Dame for many reasons as he is aware of what the program can do for him on and off the field. Notre Dame’s run to the College Football Playoff didn’t go un-noticed by Davis as he was watching the Irish this fall. Despite the outcome in the Cotton Bowl, Davis took notice of the Irish changing the program. As a cornerback, Davis also is well-aware of consensus All-American Julian Love’s success. Clemson was the latest program to host the Jacksonville native as Davis was there over the weekend. Davis admitted a ton of schools are recruiting hard right now, but he’s planning to get up to Notre Dame this summer for a visit.